1. I live in a country where as an adult woman I am eligible to vote. 2. I could go to my regular polling place. I wasn't moved due to redistricting, weather related madness, or anything else. 3. I was not under any pressure from my employers to put my job above my vote and was able to take all the time I needed to vote. 4. I am registered in New York State and had no trouble getting to another state to vote in the way that some people have been hindered by gas shortages and transportation changes. 5. I didn't have to leave a compromised home and fear what might happen to it while I was voting. 6. My wait was only a little over an hour. 7. It was lit and warm in my polling place. 8. I had enough money to buy myself a hot chocolate when I was done. 9. 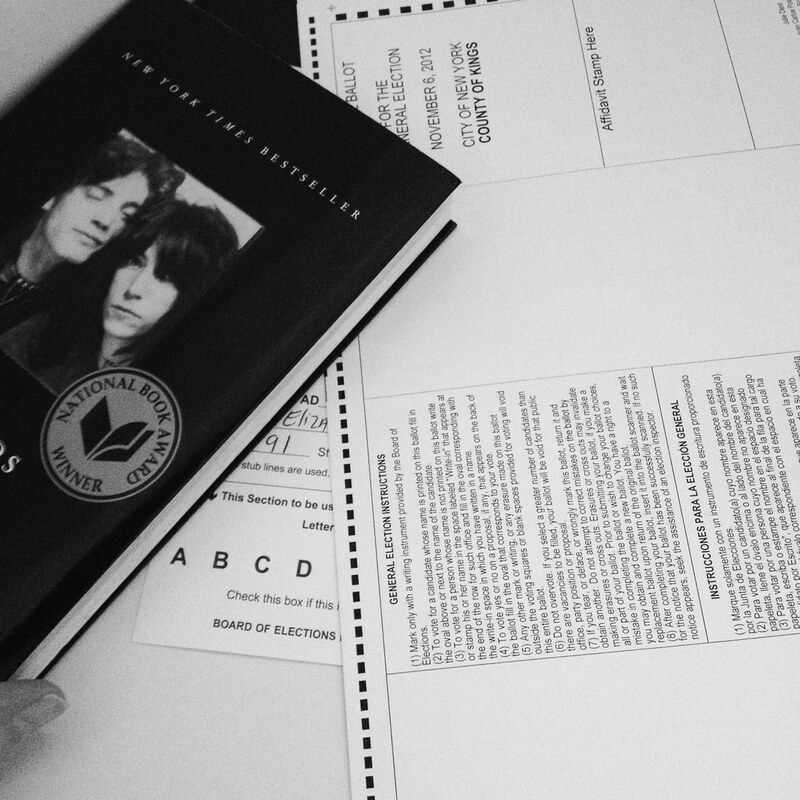 I felt informed and ready to vote my conscience. 10. Thanks to the public schools of America I can read and write so that my ballot was properly filled in and I could read the computer screen when it said, "Thank you for voting!" those are things to be thankful for! I, too, am thankful for the right to vote (and own property, hold a job, inherit property, hold office, go to college, etc.) as an adult woman in our country. I was born in 1959, less than 40 years after women finally obtained the right to vote so I try to acknowledge and honor the struggle for women's rights of those before me by voting in every election. It is my priviledge and my responsibility -- that's what I tell my 5th grade students too. I agree, as a woman. You HAVE to vote. There are still way too many places in the world where you can't based on your gender, which is stupid. We recently had municipal elections here and the voter turn out was abysmal- 38%. I always figure, if you don't vote, you don't really have the right to complain. Personally, I think a system should be implemented here like in Australia: if you don't vote, you get fined. 1918 may be almost a hundred years ago but having the choice to vote is not something to take for granted, because it took women so long to get that right and it can still all too easily be denied. Kudos on the outcome in your part of the world too!